We know how frustrating it can be to know that time and money could have both been saved if you had only gotten a car key replacement or duplicate. In the “olden days,” duplicating a car key was a far easier process. There weren’t keyless fobs, security chips, or any other myriad of key duplication hassles like there are today. Today, car keys are far more sophisticated and getting a car key replacement isn’t as simple as walking into your local hardware store and having a spare key cut for you. Locking keys in your car is at least a short-term, albeit frustrating, experience. But losing keys when you don’t have a car key replacement is a far more inconvenient hassle. To fashion a key after the fact, without a master key to emulate, can be expensive and time consuming. Not all car keys are universal so it’s highly recommended that you get a car key replacement BEFORE you actually need it. That way, when the inevitable day arrives (and it will) you’ll be better prepared. Keep your spare key on your person or with someone you trust who can arrive to the rescue should you lose your key or lock it in your car. It’s a small investment that lasts the life of your car. If you have a late model car, it’s highly likely that you have a programmed transponder key, with or without keyless entry. A transponder key is different from your standard car key because it requires an advanced “pairing” process between it and the car it’s starting. While providing better security, they can be a challenge to replace if lost. By using a professional car locksmith to create a transponder key duplicate or replacement, you can be assured of an exact match and one that will help you out of a bind should you ever lose your primary set. Keyless entry remotes, or key fobs, are typically paired with transponder keys. They communicate with your vehicle and makes your car easier to interact with and more accessible to you. As professional locksmiths, we can handle every step of replacing a key fob. We can get you a new key fob, properly program it, and have it ready to go to work. If you need a key fob replacement or just want a duplicate (highly recommended), it’s in your best interest to call a car locksmith. They possess the same knowledge as a dealership yet offer the added insight of a security expert. Ah, the ol’ tried and true. Just because your car isn’t new doesn’t mean you’ll avoid the hassles of a lost car key. While easier to replace than a modern-day key, it’s important to make sure your replacement car key is properly retrofitted and cut to fit with precision. We can handle car key replacements for any make and model automobile, whether or not we need to pair it with the car’s internal electronics. In closing, a spare key or car key replacement is not some minor trinket without value. Instead, it can come in handy in any number of situations (lockouts, misplaced, stolen) so ask us to create a car key replacement or car key duplicate and you’ll be better prepared for any situation. Car keys are an important part of your automotive security, and we have the experience and tools necessary to make sure you have a reliable solution. 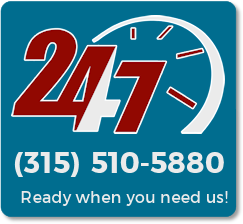 We are dedicated and opened to you 24 hours a day, 7 days a week for emergency and non-emergency situations, so reach out and get a FREE car key replacement estimate!